Bahujan Samaj Party president Mayawati on Sunday termed the PM-KISAN scheme an insult to the farmers, saying the BJP was hoodwinking them before the general election. "Rs 500 a month to poor farmers under PM Kisan Samman Nidhi is an insult of farmers. Farmers believe in their labour and want remunerative price of their produce but BJP mentality to give them little monetary help is atrocious and arrogant. BJP has failed to fulfil their promise," Mayawati tweeted soon after Prime Minister Narendra Modi launched the ambitious Pradhan Mantri Kisan Samman Nidhi (PM-KISAN) at a gathering in Uttar Pradesh's Gorakhpur on Sunday. "Giving @ Rs 17 per day to few farmers just before (the) Lok Sabha elections is pure hoodwinking. BJP reflects poor in their thinking towards farmers and solving their misery. BJP misused govt power & machinery in a brazen manner and still not hesitating," the Dalit leader said. The scheme, announced in the interim Union budget, seeks to give Rs 6,000 per year in three instalments to 12-crore small and marginal farmers holding cultivable land up to two hectares. 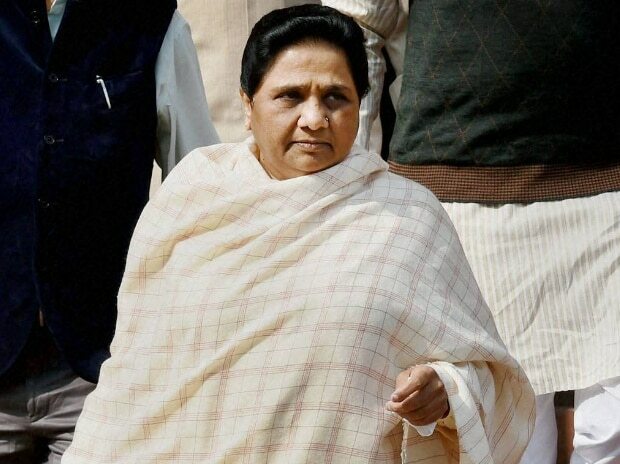 In a release issued by the BSP, Mayawati said the scheme was a result of "petty and immature" thinking of the Bharatiya Janata Party government in resolving the farm distress. Like demonetisation and the GST, the BSP chief alleged, the scheme was another decision that was brought in a hurry and forced on the people. The Modi government is not desisting from its "wrong and mischievous mentality" even at the time of the Lok Sabha elections. The people do not like this kind of alluring attitude before elections, she added.